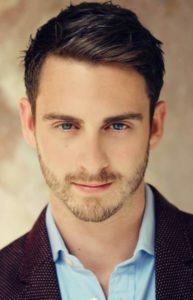 A music graduate of Oxford University, David has enjoyed success with Classical Brit Award winning group Only Men Aloud, including performances at the London 2012 Olympics Opening Ceremony, the Strictly Come Dancing Christmas Special and the Royal Variety Performance. Recent performances as conductor of The Novello Orchestra include the Wales Millennium Centre’s 10th Anniversary production Broadway to the Bay, Live with Pink Martini (Wales Millennium Centre), The Golden Age of Dance (Theatre Royal Drury Lane and Wales Millennium Centre), Broadway in Concert (Wales Millennium Centre and the London Palladium), Disney’s The Jungle Book in Concert (Royal Festival Hall) and the UK and Ireland Film with Live Orchestra tours of La La Land, Beauty and the Beast, and Star Wars. Further credits include Show Producer for the BAFTA Cymru Awards, Music Supervisor for the Roald Dahl centenary celebrations ‘City of the Unexpected’, Creative Director / Conductor for Christmas on Broadway with the Royal Welsh College of Music and Drama, andMusical Director / Music Supervisor for Tiger Bay the Musical (Artscape Theatre Cape Town and Wales Millennium Centre). International Piano Concerto Competition with Rachmaninov’s Second Piano Concerto. In 2007, Hannah won the Jacobson Prize. Grant. 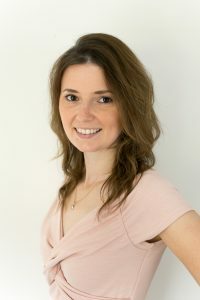 Hannah is an examiner for ABRSM, both in the UK and internationally, working in places such as Hong Kong, Singapore, Malaysia and Dubai. Whilst Hannah’s career takes her all around the world she is a valleys girl born and bred, and there is nothing quite like coming home to Wales. When she is not travelling, Hannah enjoys providing music for weddings and events, both in Wales and further afield. Knight, he transferred his studies to Yfrah Neaman, professor of violin at the Guildhall School of Music and Drama. 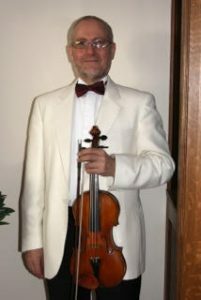 He came to Wells in 1974 as the Practice Supervisor, allowing him to carry on his violin studies with Yfrah. the National Ballet of Canada, and the New Symphony Orchestra. In 1985 following a request from Wells Cathedral Organist, Dr.Crossland, he helped found the Wells Sinfonia which accompanied the Wells Oratorio Society and the Wells Cathedral Choir. Chamber music has played an important part too, and Edward has been involved with several string quartets in the West of England and Wales. This has resulted in performing with the Ceres Quartet in the BBC costume drama, “Respectable Trade” and appearances with Neil Innes of “Bonzo Dog Band” fame. His teaching at Wells continued alongside the post of Head of Strings at Westonbirt School followed by teaching at Clifton College and Richard Huish College, Taunton. Now, in addition to Wells, he is a visiting lecturer at Bath Spa University College. For the past 15 years he has been a tutor for the National Children’s Orchestra and is Senior String Tutor to the Somerset County Youth Orchestra. In addition, he also coaches the National Schools Symphony Orchestra. Edward has been an adjudicator for the “Chamber Music in Schools” competition for the past ten years, and has adjudicated for the Pembrokeshire Schools Music Festivals.